Is there mosaic fresco at your home? Do you like such decoratives? Would you like to realize more about it? Well, if your answer is active, you would appreciate the following image first, but just don’t miss out the information blow. Mosaics and frescoes were widely used decoration techniques of the Byzantine religious painting. In Chora as well, we are able to see those two decoration techniques together. The outer and inner narthexes are decorated with magnificent sequential scenes that could be considered among masterworks of mosaics, narrating mainly the life and miracles of Jesus Christ, and the life of Virgin Mary, respectively. On the other hand, in the parecclesion, religious stories from the Old Testament and scenes such as the judgment day, resurrection and last judgment are depicted in frescoes. The mosaic art found by Egyptians was at first used as a flooring decoration. In the Hellenistic period, this art was developed by the introduction of glass mosaics. That kind of mosaic was called “psifidoton” in the Byzantine period. 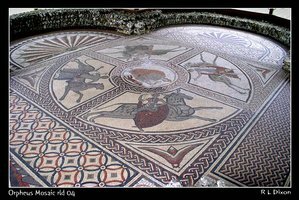 In the Early Christian period, the mosaics were created by laying small triangular, quadratic, cubic etc. pieces called “tesserae” and made of stones, glasses and seashells of various colors and almost flesh-colored tile pieces covered with gold and silver leafs on a wet, quick-drying plaster together. This art, which was widely implemented in the 6th century for wall decoration, entered a period of stagnation in the 10th century, because of its complexity and since it was costlier than frescoes. However, in the 14th century, in the late Byzantine period, it revived, as seen in the Chora. That phenomenon is also an indicator of the extent of the socio-economic development of the Byzantine Empire after the Latin occupation (1261).